THE Judiciary is implementing its Five- Year 2015/16-2019/20 Strategic Plan to improve, among others, infrastructures by constructing modern buildings. 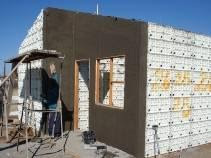 To accomplish such task, it has adopted what is called “Moladi Construction System” as cost effective and fast building technology. 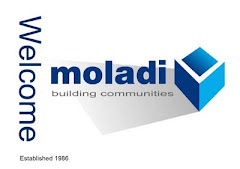 Staff Writer FAUSTINE KAPAMA reports…MOLADI Construction System is a method of constructing buildings at lower costs as compared to the normal conversion system, which is considered to be very expensive. 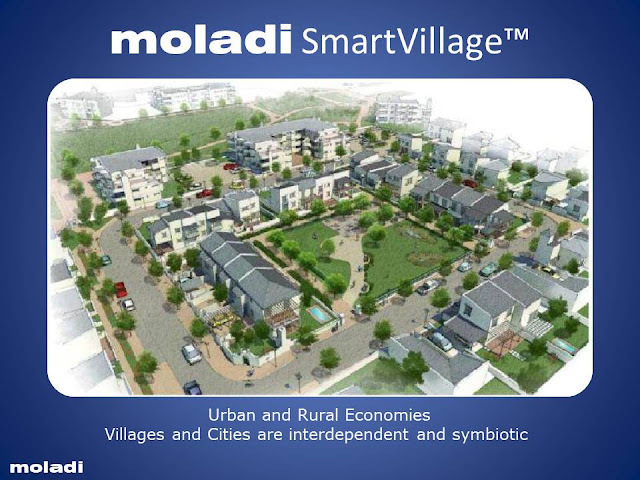 Moladi has been designed to address key challenges that determine successful implementation of low cost housing projects in developing countries. These challenges would be the lack of sufficient funds, the shortage of skilled laborers, work flow control, lack of resources, time constraints and wastage. A senior official with the Estate Management Unit of the Judiciary of Tanzania, Engineer Coelestine Rutasindano, says out of 3,963 wards in Tanzania, only 960 have court buildings. For that matter, he says, 3003 buildings are required. He explains further that out of 139 districts in the country, only 27 of them have court buildings. Thus, according to him, 112 buildings are required. Eng Rutasindano says considering the limited time and budget, the Judiciary considered as difficult to construct the 3115 buildings to cater for the needs. 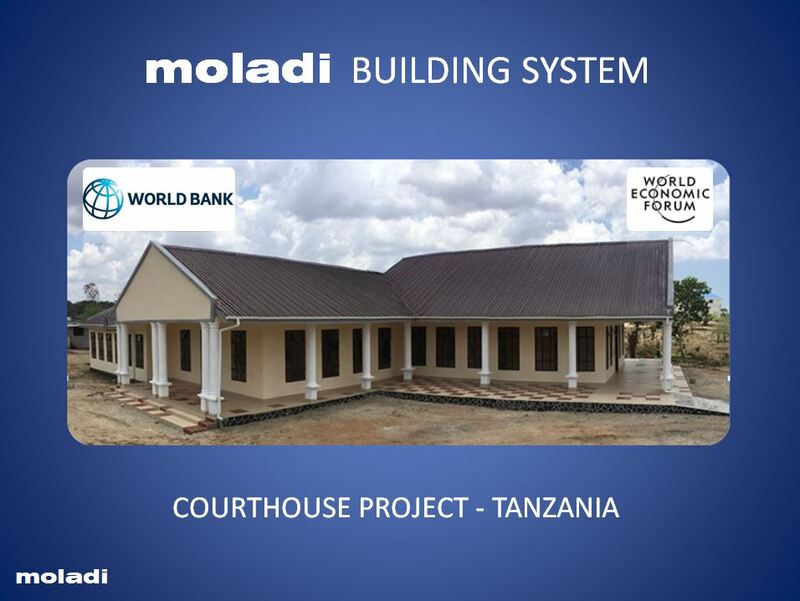 “The Judiciary in collaborations with the Ardhi Institute, the National Construction Council and Moladi Tanzania decided to conduct a research in South Africa to find the cost effective and fast building technology to meet this requirement. We came out with this Moladi Project,” he says. Engineer Rutasindano discloses that they started implementing the project on trials on six buildings at Kibaha, Kawe, Bagamoyo, Kigamboni and Mkuranga. “I am happy to say that the project has proved some success and all these buildings are now ready for use. The Kibaha building with double courtrooms was completed in 2016, while the others have also been handed to relevant authorities for use,” he says. Eng Rutasindano points out that there was another building at Kinyerezi, which would be used to accommodate the Ilala District Court, was in the final touches and would also be inaugurated very soon. He said that construction of other 16 court buildings in the country was going on. According to him, the construction works of the buildings, which are at the foundation stage that would be used as district courts are being carried out at Rungwa, Lindi, Kilwa Masoko, Njombe, Kasulu, Rungwe, Chato, Geita, Kilindi, Songea, Mpanda, Sikonge, Simiyu, Longido, Bunda and Bukombe. The Chief Justice Ibrahim Juma is on record saying that such 16 buildings to accommodate district courts will be completed before June 2018. He says further that construction of other five buildings to house resident magistrates’ courts is going on at Manyara, Geita, Katavi, Njombe and Simiyu regions. “The purpose of the five year strategy plan is that by 2020 the Tanzanian Judiciary will have 139 district courts in all districts of Tanzania Mainland and resident magistrate’s courts in all regions 26,” Prof Juma says. He points out that there are new districts, which have no district court buildings at all, while there are other old districts, which need new buildings or have the available buildings undergoing major rehabilitations to meet the current needs. For primary courts, the head of the judiciary says, rehabilitation works in different buildings were in progress. He says that they have completed what he termed as “court mapping”, which shows the importance of improving and constructing court buildings. According to him, that would deliver primary court judicial services in urban areas and at main Division areas which are approximately 550 countrywide. 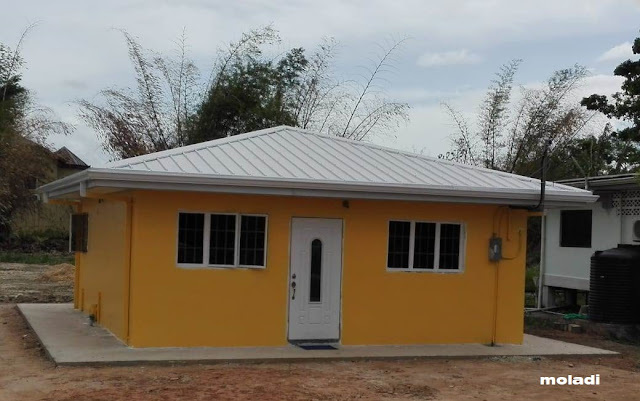 To start with, he says, the major focus would be to construct buildings of primary courts at the ward which is the headquarters in the Division and those with special needs and not all wards available in the country which are 3,853 in total. The chief justice further points out that among 26 regions in Tanzania Mainland; only 24 regions have High Court buildings, with others that do not meet the current required needs. He says construction works of two High Court buildings were going on at Kigoma and Mara regions. Such works, according to him, are going on well and the constructions are expected to be completed before the end of December 2018. He says before the end of 2017/2018 financial year, the judiciary is expecting to start another construction of High Court buildings at three regions. The regions to be covered include Morogoro, Mwanza, Geita and Singida. Prof Juma further says that in recognition of good job done by former chief justices; the judiciary will as from now construct new court buildings with integrated justices’centres, especially at Mara, Kigoma, Morogoro, Mwanza and Singida. Prof Juma says also that improvements of infrastructure on part of buildings would go with installations of high technological systems, notably the use of Information Communication Technology (ICT), as the best way of accessing information and would held the Judiciary in early dispensation of justice. He explains that the Judiciary has set some goals for enhancing transparency and effectiveness in issues of administration and determination of cases with operational issues with ICT being considered as the correct answer for the 21st Century’s judiciary, which is focusing on such transparency and efficiency. “We do not need any shame for a file to get lost or misplaced or any story that the file needs to be cleaned dusts or receipt for payments of the case is not seen. We do not want to hear the client does not know for how long his case has been pending or is before whose judge or magistrate,” he says. The CJ says the judiciary was determined and would not wish to remain behind and we would continue with the speed of changes of benefiting with advantage of ICT, especially on financial management, data and revenue collections, determination of cases, among other areas. On determination of cases, Prof Juma pointed out that some procedures are in place of establishing an electronic case management system, which would bring efficiencies in many areas, including payment of court fees and opening of cases in courts or using special area allocated by the judiciary. Through such system, he said, could also enable the filing of cases through office of the Attorney General or private advocates. Furthermore, the electronic system would easy payments of advocates’ fees. The system, through Lushoto Institute of Judicial Administration and other centres of the institute would also be used to provide training and skills to employees. The Chief Justice says the video-conference electronic system would further facilitate distance hearing of case from courts and prisons.